Adobe still can’t get XAVC levels right! I’m often asked at the various workshops I run why I don’t grade in Adobe Premiere. Here’s why – they can’t even get basic import levels right. Below are two screen grabs. The first is from Adobe Premiere CC 2019 and shows an ungraded, as shot, HLG clip. Shot with a Sony Z280 (love that little camera). Note how the clip appears over grossly exposed with a nuclear looking sky and clipped snow, it doesn’t look nice. Also note that the waveform suggest the clips peak levels exceed 110%. Now I know for a fact that if you shoot HLG with any Sony camera white will never exceed 100%. 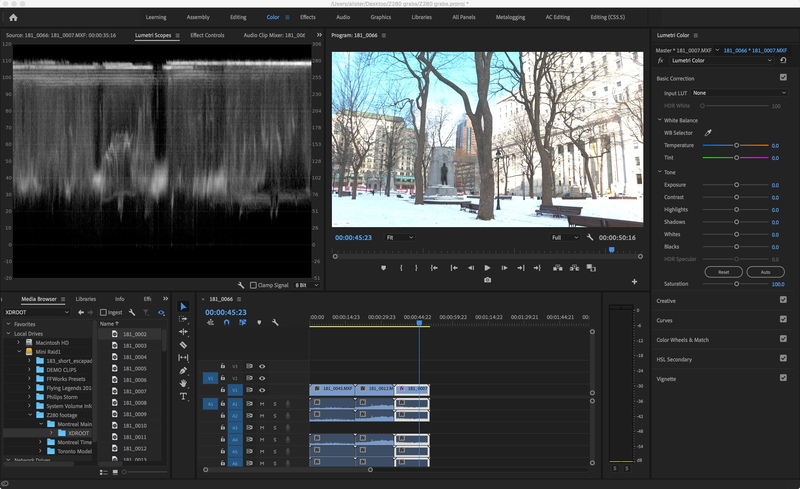 Incorrect levels with an XAVC clip in Adobe Premier. Click on the image to view a larger version. 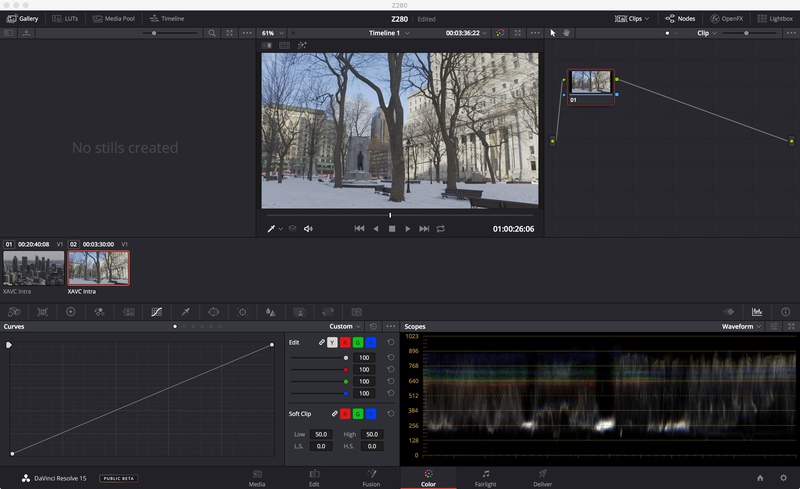 The second screen grab is from DaVinci Resolve and it shows the same clip. Note how in Resolve that although bright the clip certainly doesn’t look over exposed as it does in Premiere. Note also how the levels show by the waveform now no longer exceeds code value 869 (100% white is 940). These are the correct and expected levels, this is how the clip is supposed to look. Not the utter nonsense that Adobe creates. Same XAVC clip in Resolve and now the levels are correct. Click on the image to view a larger version. Why can’t Adobe get this right. This problem has existed for ages and it really screws up your footage. If you are using S-Log and you try to add a LUT then things get even worse as the LUT expects the correct levels, not these totally incorrect levels. Take the SDI or raw out from the camera and record a ProRes file on something like a Shogun while recording XAVC internally and the two files look totally different in Premiere but they look the same in Resolve. Come on Adobe – you should be doing better than this. If they can’t even bring clips in at the correct levels, what hope is there of being able to get a decent grading output? I can make the XAVC clips look OK in Premiere but I have to bring the levels down to do this. I shouldn’t have to. I exposed it right when I shot it so I expect it to look right in my edit software.